I Mr. Frank Eze, your regional claims agent, have acknowledge your information and your prize award identification details and wish to inform you that the entire Board of Australian International Sweepstakes Lottery Corporation have approved me to direct you and also issued you this authorization winner’s certificate, we are going to fellow the legal way in order for us to avoid any scam activates, so you are required to contact the Fund paying bank, OCEANIC BANK OF NIGERIA PLC. Note that you' re the legitimate beneficiary winner of the FIVE HUNDRED THOUSAND DOLLARS (US$ 500,000.00) Cash Prize won by our Lottery Programmer and your winner information is. You’re to contact the Fund paying bank where your prize money is been deposited, it will be approved and transfer to your nominated bank account. We must say that you should count yourself extremely lucky to have emerged as one of the winners in this year' s lucky dip sweepstakes certified by the Australian International Sweepstakes Lottery Corporation for payment. You are among the winners that we are mandated to pay their prize money in this category. We also want to inform you that your fund will be release to you through our nominated bank in Nigeria (OCEANIC BANK OF NIGERIA PLC), and also note, we have forwarded your information and your winner’s certificate to the paying bank to enable them acknowledged your winning and approve you for payment as soon as possible. Again: You are advice to keep this winning notification private and confidential until the bank transfer’s your fund to you to avoid unwarranted claiming and this might lead to cancellation or disqualification of your payment and approval of fund. Do not hesitate to contact me if you need any assistance. into your nominated bank account. and to avoid misappropriation of funds. immediately approve for your transfer. ($ 500,000.00 USD ) to the bank account information you provided for us. information/ question do contact us. I am in receipt of your e-mail in which you have indicated your interest in our legal services. The Affidavit of claim is a document required by most Financial Institutions here in Nigeria for the Legalization/Certification of Claims. The Attestation Letter is also required of Nigeria non-residents before fund Transfer/Payment worth over $500.000,00 Cheque can be made. This serves as an Authorization to the Bank to release your fund to you as the rightful beneficiary and to clear you from all charges of money lundering. The Oath Fee and Change of receivers Charge must be paid to the Commissioner for Oaths before the Affidavit of claims can be issued to me on your behalf while the Consultation fee is the cost of my service to you. I have attached a copy of the Application form to this e-mail and you are required to complete and return it to me immediately so that I can commence the process of securing the Document for you. If I am able to receive the money today, I shall proceed directly to the Court and Secure the affidavit for you within 4 Hours. 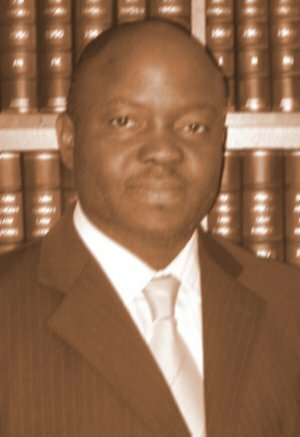 The Divine International Chambers is an international client law firm located in Abuja,Nigeria . Guided by ethics and values. The team is equipped with highly qualified professionally and academically lawyers. We aim to serve with skill and high professional standards and offer to each and every client professional, effective and decisive legal services and advice. The Law firm is totally committed to serving our clients best interests. By being proactive, we anticipate our clients needs and provide solutions that are timely, clear and pragmatic. We deal with our clients' business and individual needs with the utmost personal care.